"After their remix of Actor One's 'Stay' became a firm favorite here at bloop HQ, we're delighted to welcome Gruber & Nurnberg to bloop. The Hamburg duo have been very active recently with a string of releases on labels like 8bit, Wasnotwas, Diynamic and Lorna, showing their love for house music. 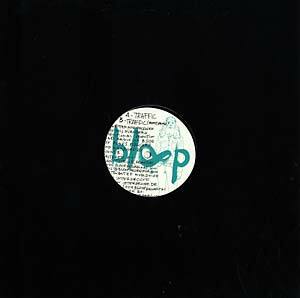 Traffic, their first 12 inch for bloop, is a track we immediately fell in love with, being completely swept away by its chord and vocal sample goosebumped buildup to dancefloor bliss. We asked Agnès to do the remix of 'Traffic' as both bloop and Chris and Nils are huge fans of his classic house sound. Reworking the elements of 'Traffic' into a deep masterpiece as only he can, Agnès maintains all of the characteristics that made the original such a big crowd pleaser, adding his trademark sound to it."